Where can I get them? | How can I make them? 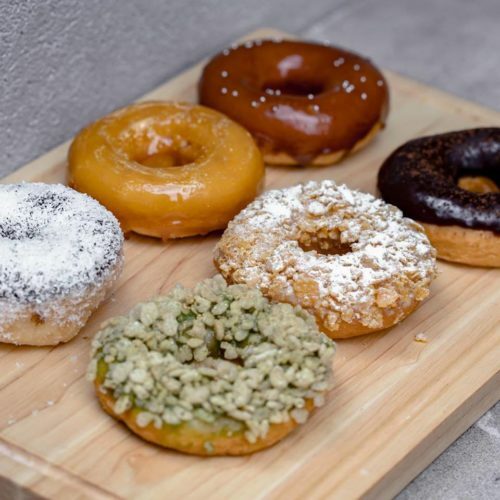 Mochi donuts are a hybrid of traditional American doughnuts and Japanese mochi. They are made of sweet gluttonous rice which, as you may have guessed, is the primary ingredient for mochi. This mochi rice is inherently gluten-free and has a soft gooey texture. So after these donuts are fried, the result is a slightly crispy exterior with a surprisingly chewy interior. 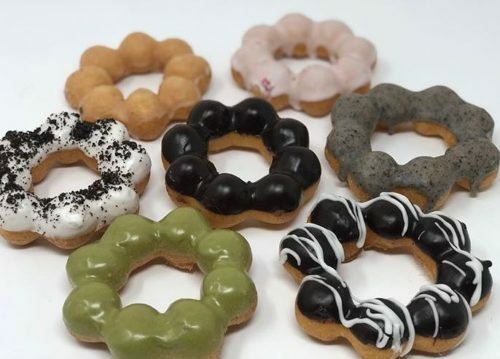 Mochi donuts are normally found in three main shapes: the traditional donut, donut holes (round balls) and a donut hole ring (small round balls connected to form a ring). 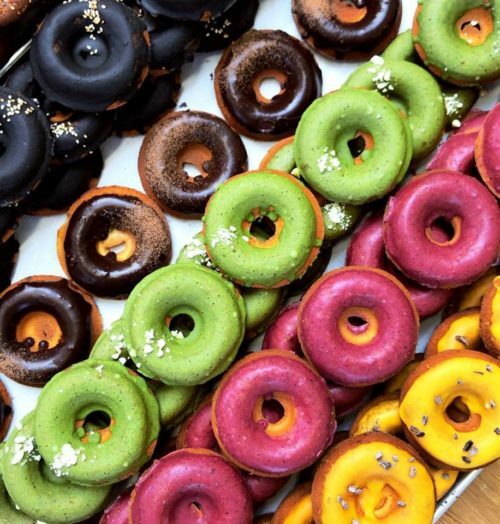 They are also typically coated in an assortment of flavored icings or toppings beyond the standard chocolate and vanilla such as matcha, black sesame, ube, etc. 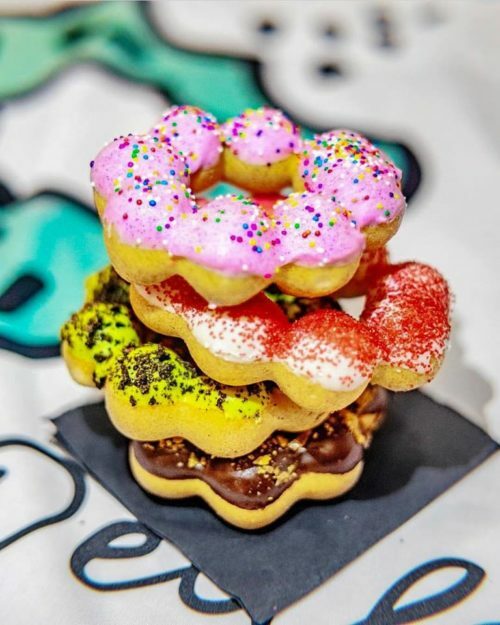 Although mochi itself has been around for centuries (at least since the early part of the first millenium), mochi donuts are a relatively new food creation. 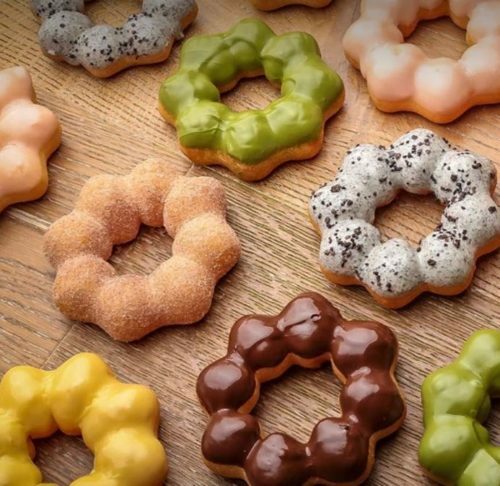 Mister Donut in Japan started selling their “pon de rings” mochi donut in 2005, around the same time as the earliest mentions of “mochi donut” on the internet. What are the different variations of mochi desserts? 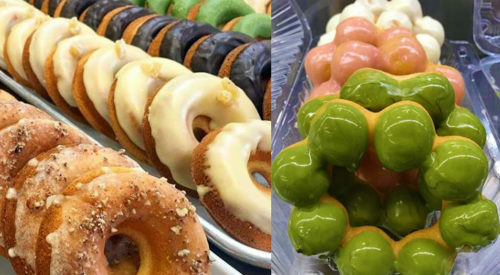 You can find mochi donuts in donut shops throughout many countries in Asia, especially in Japan, Singapore, Taiwan and Korea (where it is called “chapssal”). Over the years, they have spread to Europe, America and other parts of the world. In the US, mochi donuts were first sold in Hawaii and gradually spread from coast to coast. Some places only sell them in limited batches. So, if you find yourself near these locations below, go grab some asap while they’re hot ‘n fresh. If mochi donuts are not conveniently sold near you, there is always the option of making them yourself. Here is a simple recipe to make powdered mochi donuts in donut hole form, which is the easiest shape to make. 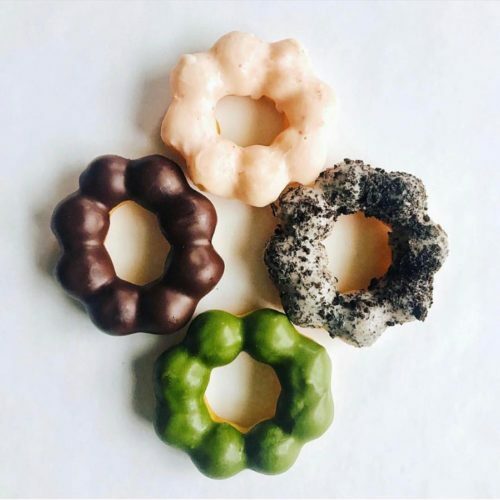 Once you’ve gotten the basics down, you can expand your mochi donut-making skills and test out different shapes and flavors. First, mix the starter ingredients (the mochi rice flour and milk) in a bowl. Heat in the microwave (25-30 second intervals), or in a small pot on the stove until dough is firm and slightly bouncy to the touch. Set starter dough aside for around 5 minutes to cool. 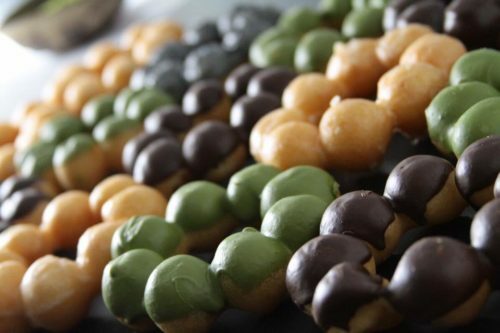 Shape into round donut holes around 1 inch in diameter. Heat canola oil in pot to 350°F. 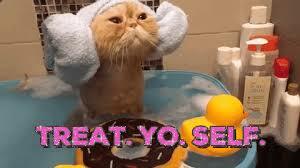 Fry and rotate donut holes until they float and are golden brown. Transfer donut holes onto a paper towel-covered plate to absorb the oil.